Bengaluru: Altico Capital India Ltd, a real estate-focused non-banking financial company (NBFC), plans to diversify into health, education and infrastructure among sectors to achieve its goal of doubling its loan book to $2 billion in the next 18 months. 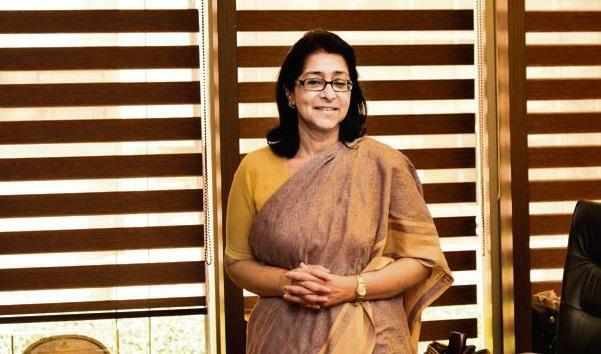 The company has also elevated former head of HSBC India, Naina Lal Kidwai, who has been an independent director in Altico since 2016, as its chairman. “…The focus will also to be enhance customer base, add new segments and geographies along with providing varied financial solutions across the spectrum. There is a lot of demand for capital in non-real estate sectors like health and education as well and we are exploring opportunities,” said Sanjay Grewal, chief executive officer, Altico Capital. Altico is backed by Clearwater Capital Partners LLC, Abu Dhabi Investment Council and Varde Partners Inc. The company plans to make a deeper presence in the real estate business, and enter real estate-backed segments such as logistics, warehousing, healthcare and hospitality. It will also expand its presence in real estate projects to Ahmedabad and Kolkata, from the current seven cities. Altico also wants to make inroads into asset-backed businesses such as the infrastructure sector. “…While healthy liquidity has been the strong backbone of Altico’s performance over the last several years, the endeavour is to keep this momentum growing with further broadening and deepening of lender base. With all of this, we intend to cross $4 billion book size in 3-4 years from now,” Grewal said. Altico’s strategy to diversify its portfolio may also be a good way to de-risk its investments, which are heavily dependent on the real estate sector. The NBFC sector has been going through a tumultuous period after Infrastructure Financing & Leasing Services Ltd defaulted on some of its debt obligations. With banks wary of lending to the real estate sector, NBFCs have offered a lifeline to cash-strapped projects and developers in the past few years, with refinancing deals occupying a chunk of the investments made. Altico expects to deploy $800-900 million every year given the need for capital in the mid-income and affordable housing segments in key markets, Grewal said. The company is also closely evaluating further asset growth and diversification strategies, which may include the potential for commercial real estate funding to complement its residential lending footprint, he said. Outside the core strategy of financing housing projects, Altico will look to provide structured finance solutions to the capital-starved infrastructure sector and aims to deploy an incremental $150 million steadily over the next 12-18 months in the commercial real estate and infrastructure sectors, said Grewal. © 2015-2018 Canvaas e News Media Site By Canvaas Softwares.